This little painting is something I turn to when I need a break from other works. Or when I finish something and haven’t yet decided what to start next. I’ve been dabbling with it for months on end. Have you ever started reading a book, and you just can’t get into it? That’s sort of how I feel about this painting. The idea was in my mind for a few years, so starting it was good. Joyful, even. But like a book that fails to grab me, this painting is dulling my senses. My friend DK once told me that if I start a book and don’t enjoy it, I should put it down immediately and start reading something else, as “life’s too short to read bad books.” She’s the most well-read person I know, so I really had to think about her advice. I’ve yet to heed it, mind you, but I’ve not forgotten it. 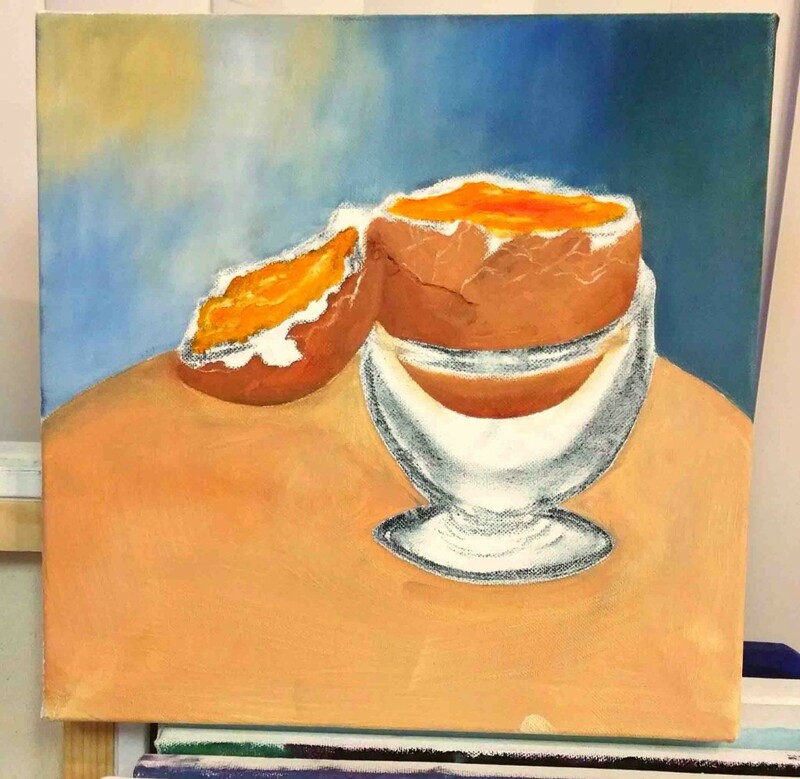 So I guess I’ll keep plugging away on this little painting, much like I plug away with books that aren’t my keg of beer. Maybe in the end I’ll be glad I finished. I certainly hope so. Otherwise, what’s the point? I have 2 new non-fiction books on my table, waiting for their spines to be cracked. And I really want to get to them, but I’m not quite finished with a couple of other books. And I fully intend to finish those before starting something new. I love reading and would wear out my eyes doing nothing else if I could. But of course, that’s neither practical nor possible. And – I’m being honest here – I can never find a fully comfortable position that my body can maintain for hours on end. I want to, mind you, but it just doesn’t work out. That, friends, is a genuine bummer. I am pretty excited to finish John Irving’s first novel (Setting Free the Bears), which I should wrap up soon. That guy’s brilliant. And crazy. And maybe crazy-brilliant. And I’m still working on a book of essays by mentors from various walks of life (Getting There: A Book of Mentors). That one’s interesting, entertaining and uplifting. When I am able to file those books away, there are others, waiting patiently to turn my brain. And I shall give them their due. You may not believe this, but I finally finished reading East of Eden by John Steinbeck. Perhaps you recall a post from the beginning of February, in which I described the impetus for picking the book up in the first place. And how I’d gotten through at least enough of it to be inspired to write a song. Though I didn’t go into details at that time, a lot of life (namely health stuff) was swirling around me and I was slow in attaching myself to Mr. Steinbeck’s tome. Cut to the last few weeks, and I found myself wanting to get through the danged thang if only to put it on a shelf and be done with it. And then something funny happened. At around page 400 (I kid you not), I finally got interested. So the last 200 pages of the book were really compelling for me. 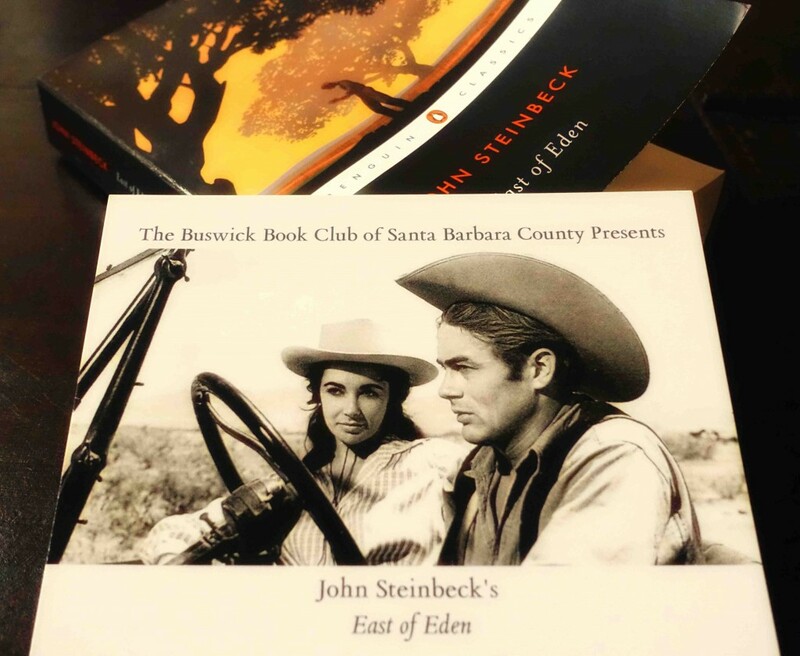 Filed Under: Art, Creativity, Life Tagged With: Art, Books, Creativity, East of Eden, John Steinbeck, Life, Reading, The Bushwick Book Club of Santa Barbara County, Yes! Yesterday found me digging through books, looking for something to read aloud at an evening round-the-fire gathering. Friends were celebrating and asked if guests could bring something to read/share. The parameters were loose, so I could have chosen a poem or a recipe or anything in-between. It was up to me. Anyhoo, back to the reading material. I had gotten it in my head that I wanted to read something from a great book by Michael Lee West, Consuming Passions. (She mixes Southern stories and culture with recipes, to a charming effect.) So naturally I had to find the danged book. I prepared myself for a daunting search through boxes galore, then I did something simple: I checked a book shelf. I can hardly believe it, but the book was right there. Where it belonged. Waiting for me. Ready to be held and beheld. Go figure. There’s been a lot of “looking for things and not finding them” going on around here lately. And I’m not gonna lie to you – it feels like the responsibility for the whereabouts of so much of what’s sought is placed on me. Sometimes that’s fair, and I accept that. So being able to find something felt really good. What’s more, I put that book away in the first place. Finding it – exactly where it belonged – was lovely. I just finished a book. It was given to me years ago, and only recently found while unpacking a box. I admit, I never thought it would be my kind of book. There’s a dog on the cover, for cry-eye! I love dogs and all, but I just don’t see myself as the kind of gal who gravitates to books with dogs on their covers. Does that make sense? Anyhoo, I decided to give this book a chance and cracked its spine. 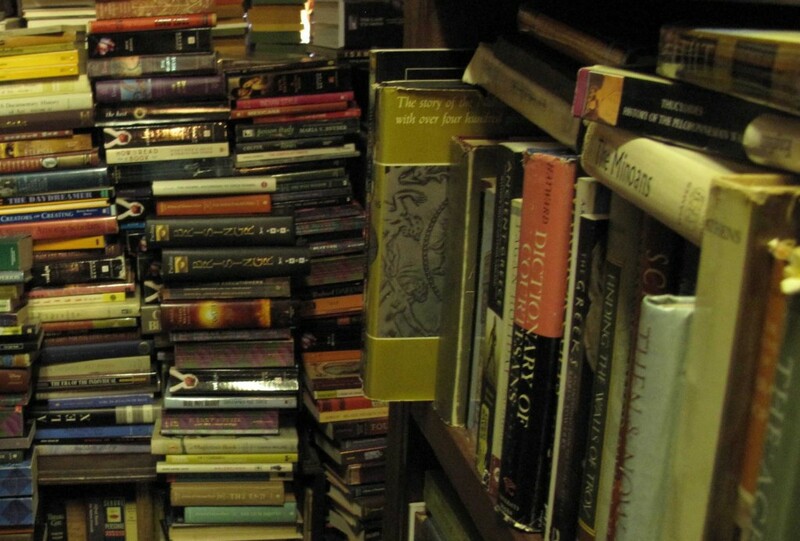 Why do we like books? What is it about a story that draws us in, causing us to lean forward in our seats and to hold our breaths? A good book can stop the ticking hands of a clock, and before we know it we’ve engrossed ourselves in a book for hours on end. I suppose a good movie is just the same. 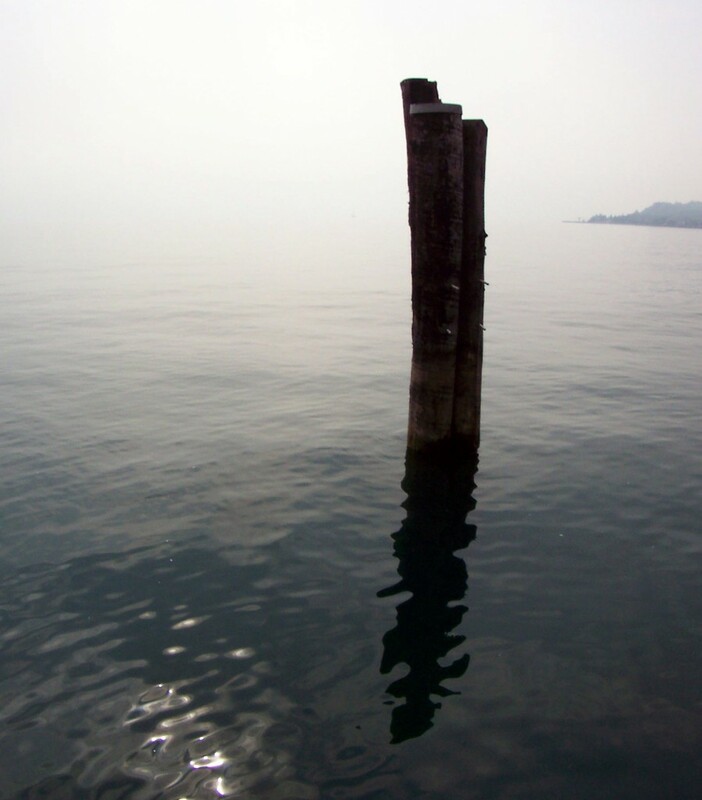 But what is it that digs into our attention in the first place? I’ve read that in many cultures, women are the keepers of stories. They are charged with holding on to the tales and fables that make up a people’s history. (In other cultures, men protect the same.) As this responsibility of story-keeping has lasted through millennia, it is clearly important and worthy of safe-guarding. This says to me that our regard for and attraction to stories have always been a part of us. And for the life of me, I can’t figure out why. Our desires and hopes for more in life? Our longing? Our sense of thrill at being frightened? The joy of laughter? The catharsis of crying? I swear, I should probably not wonder at all why I love a good story. I should just keep seeking them out. Reading when I can. Watching good movies. Telling others about a good story when I cross its path and asking them to do the same. Have to try to remember that. 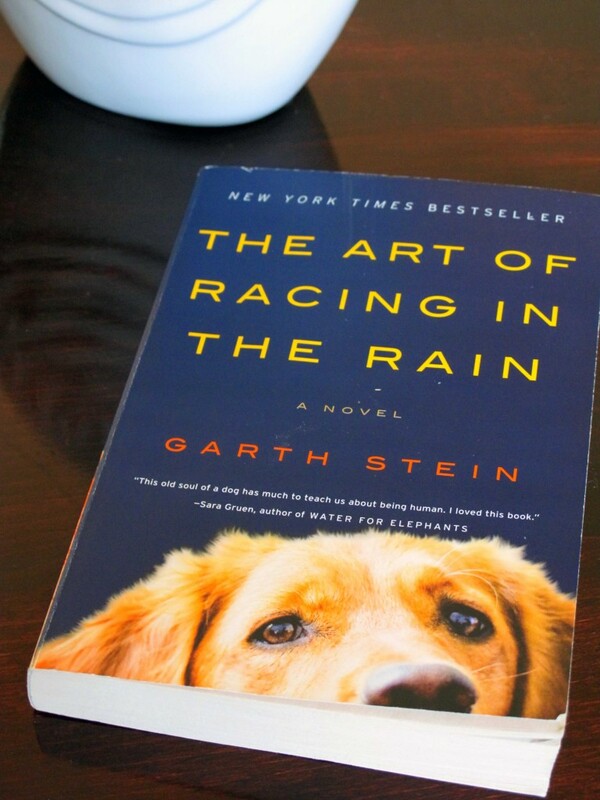 For now, I have to admit – I ended up falling for a book with a dog on the cover. I ended up respecting and admiring the dog. In fact, the dog ended up inspiring me to be a better person. I could cry right now, just thinking about the final pages. Instead, I think I’ll dry my tears and drop this book off in my neighborhood little free library box. Maybe someone else is ready to conquer her aversion to books with dogs on their covers. Lucky, lucky them. “Writing is like driving at night in the fog. 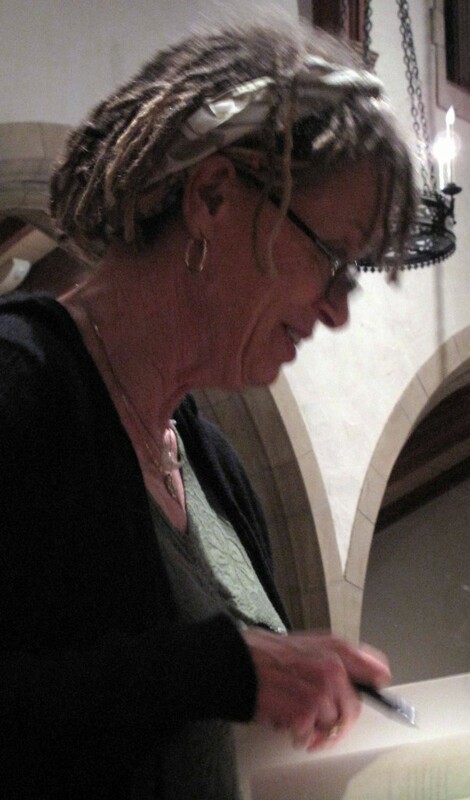 Earlier this week I took myself to Pasadena for a book-signing with Anne Lamott. I’ve read umpteen Lamott books, so I was pretty excited to hear her speak, live and in person. (Many thanks to Patty for informing me of this sold-out event.) I’ve been a fan of Anne Lamott’s autobiographical writing for such a long time, I’m not sure what I expected. But me being me, I guarantee I expected something. I didn’t just meet me, you know. 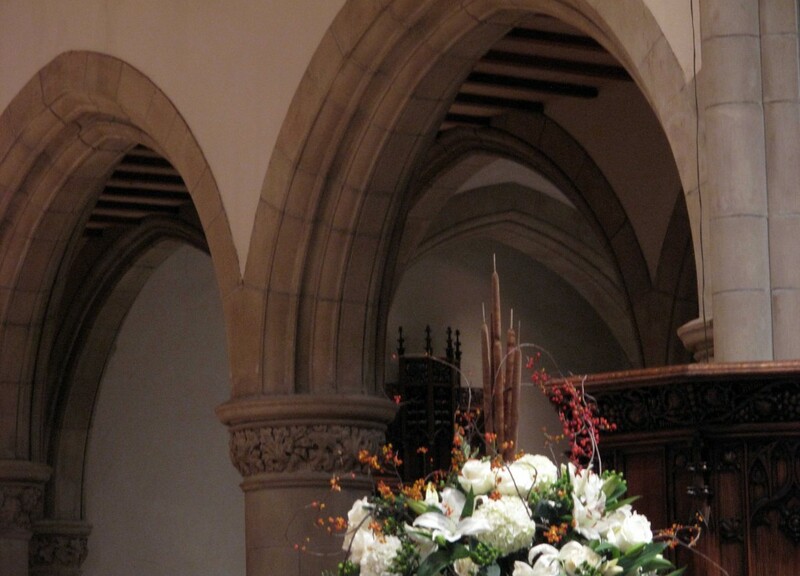 The talk and book-signing were held in All Saints Church, directly across from City Hall in Old Town Pasadena. The church was absolutely beautiful. I know it was dedicated in 1929, but I’m not sure of when it was built. I do know it houses multiple Tiffany stained-glass windows and a stunning Batchelder tile floor. We were allowed into the church an hour before the event’s scheduled start time. I took an available seat in the second row and opened the new Lamott book: Stitches: A Handbook on Meaning, Hope and Repair. I was midway through the first chapter when a woman approached my seat and said, “Hello, Pew Two sinners!” It was Anne Lamott herself, offering to sign books before taking the stage. My seatmates and I laughed, passed our books to her, then watched her move to the next row. 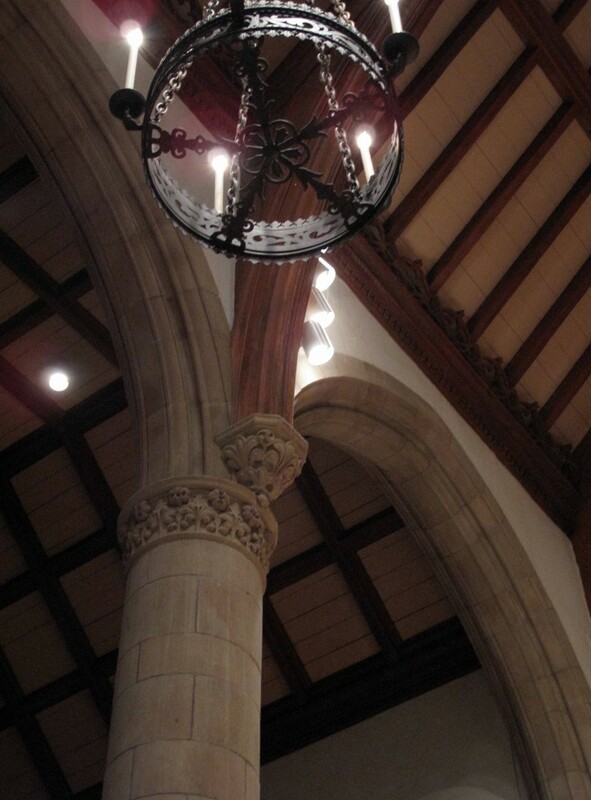 I resumed reading, finished the first chapter, then looked around at the church. It was serene. 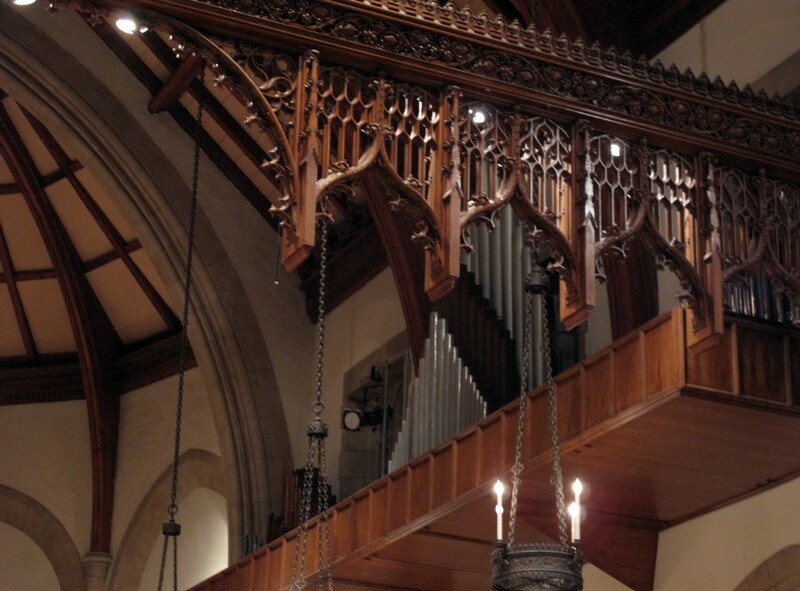 I don’t often find myself in houses of worship, for fear of bursting into flames. 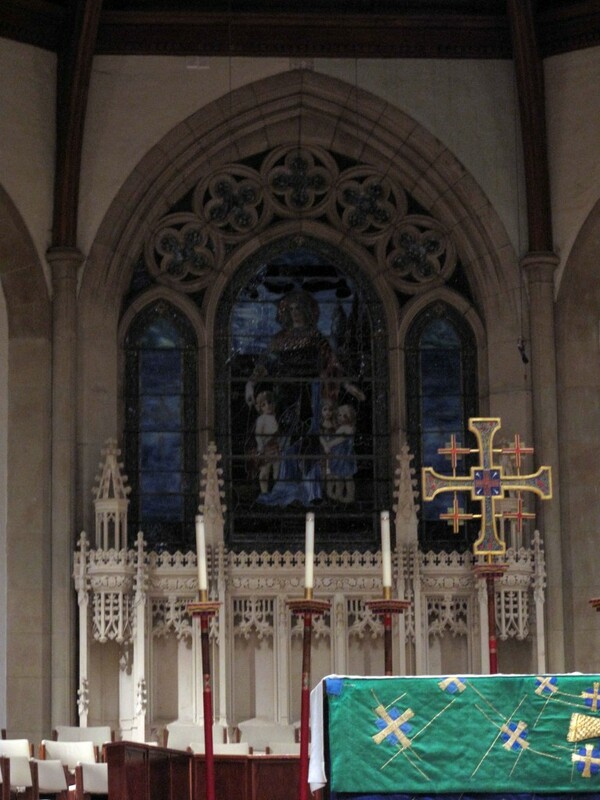 But I do love a beautiful church, and this one certainly qualifies. When traveling outside America, I regularly seek out old churches. They hold great art. Their architecture is sometimes breathtaking. And if I’m lucky – like the time Mister’s Mama and I witnessed the “Liturgy of the Hours” in chant at the Abbey of Sant’Antimo in Montalcino, Italy – I can be deeply moved and shed actual tears. 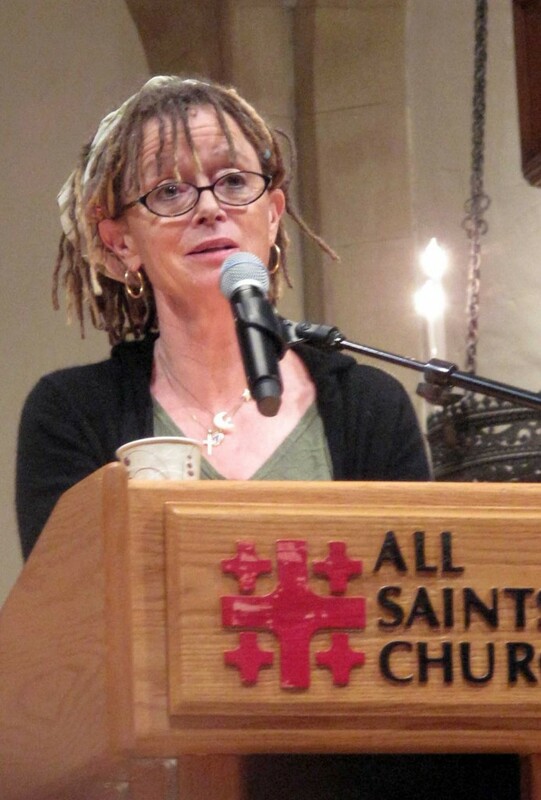 At the appointed time, Anne Lamott was introduced and she spoke for around 40 minutes. Just talking. Just being herself. She then read from the new book’s first chapter, explaining what she’d written. Next came a Q & A session, which wrapped up the evening. The whole she-bang was only an hour, but I felt full. And I was glad I’d been there. 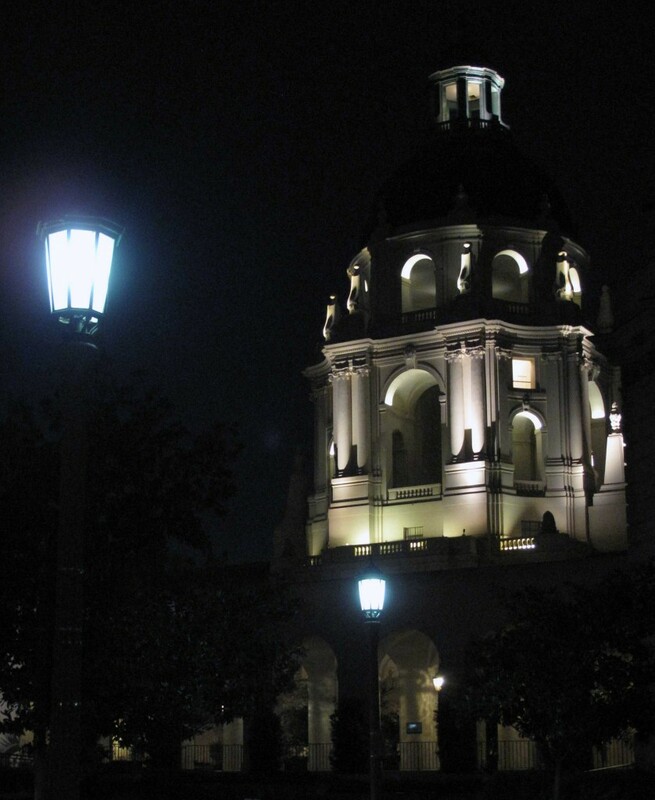 As I stepped out of the church’s embrace and into the crisp Pasadena night, I admired the City Hall across the street. It’s been there a long time, too. And is also gorgeous. Driving home, I opted to keep the radio off. My mind was quiet and I appreciated the stillness. Making my way back to L.A., the car’s heater warmed my body and my soul. Though I could only see as far as the headlights could shine, I knew I’d be home soon. And I was content. 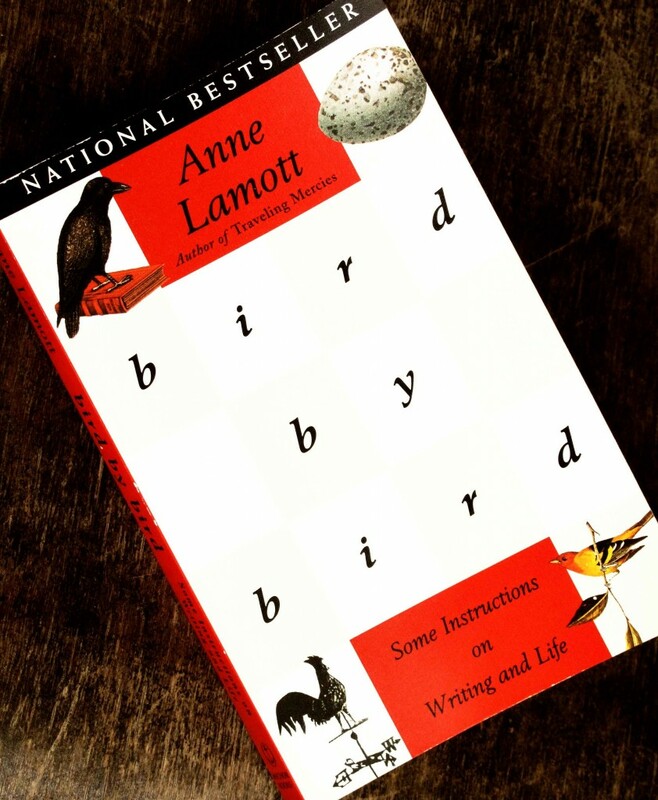 I just finished reading Anne Lamott’s Bird by Bird: Some Instructions on Writing and Life. I’ve known about this book for about 15 years or so, but only now got around to it. Better late than never. I’m a big Anne Lamott groupie. Traveling Mercies left me crying so many tears of joy that I eventually placed a box of Kleenex on top of the book, so as to remember to have the tissues handy. I’ve read a couple of other Lamott books, and I’ve never – not once – regretted the investment of time. I’m not saying you’ll feel the same way, mind you. I like feeling good after reading, and Anne Lamott’s prose tends to have that effect on me. That may not be what you look for in a book. And that’s okay. But here’s the thing about Bird by Bird. Yes, I got a lot out of it as far as ideas and guidance for writing are concerned. But friends, I got so much more out of it where life is concerned. Each time I closed the book, I felt like some secret had just been revealed to me and that there was a new opportunity for me to somehow be a better version of myself. I realize that’s a great big giant statement. And I sincerely feel it in my soul. I can’t explain it any more honestly than that. I will (probably) never meet Anne Lamott. But I don’t have to, for I have her books. The world has her books. And I am so grateful – to me – for finally taking a little time out of my life to read Bird by Bird. Really – better late than never. 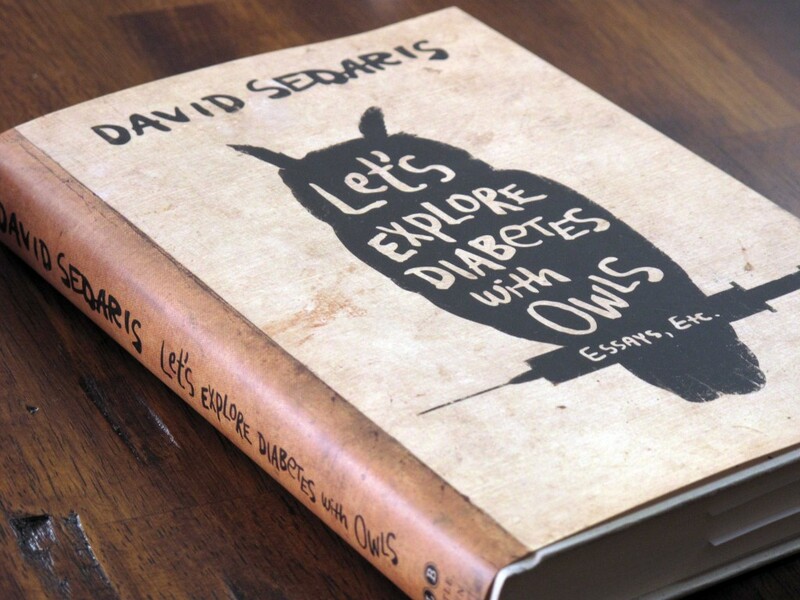 This week saw me finishing a good read: Let’s Explore Diabetes With Owls, by David Sedaris. I’m a Sedaris fan, so his style isn’t new to me. I’ve turned to him for laughs. I’ve turned to him for heart. I’ve given his books as gifts, to others and myself. That’s sort of what happened with this one. I was hobbling through Costco and saw his book. I bought it as a get-well gift for myself. It was the perfect present. How did I know? Mr. Sedaris draws me in with his wit and depth. But the guy does something else: he uses language in such a way as to wedge itself into my brain. I guess some authors are like that. As readers, we connect to an author’s work or we don’t. And when that spark happens – wow! What joy. Anyhoo, if you’ve not read David Sedaris, maybe go to the li-berry and give him a spin. (I highly recommend Me Talk Pretty One Day as a starting point.) You never know. Maybe reading sparks will fly for you, too. During my foot recovery, I am trying to get some reading and sewing done. Today I’m sharing the first book I’ve completed while being laid-up. I didn’t grow up in California. I don’t know squat about the state’s history or lore. The things learned by Cali schoolchildren escape me. 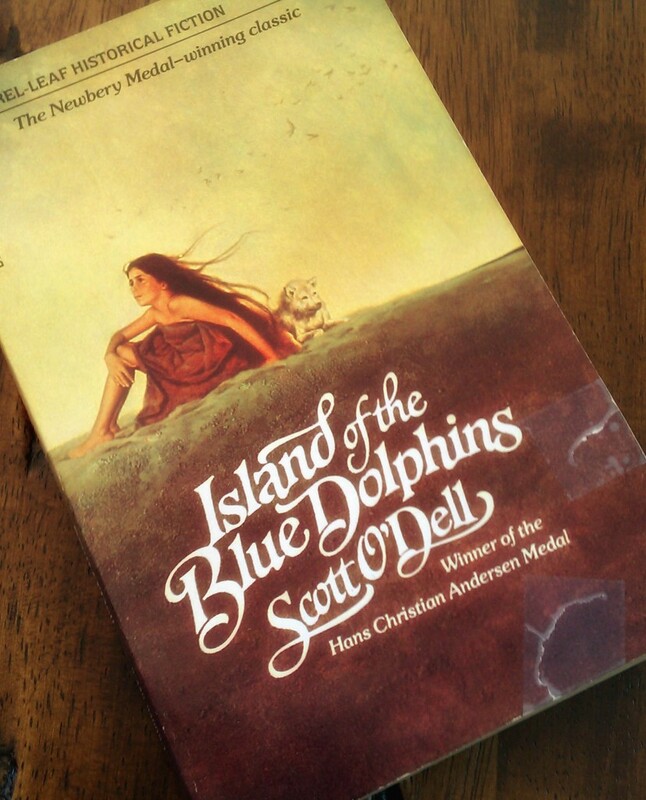 I spotted Scott O’Dell’s Island of the Blue Dolphins on a friend’s bookshelf and asked to borrow it. I’d heard of the book when other friends mentioned it as being part of their children’s school reading lists. I thought I’d give it a spin. Turns out, this is a darling book about a real-life 1800′s girl in California’s coastal history. She ended up living alone on San Nicolas Island for 18 years. It’s an easy read, but does contain some very real loss (death), so it may not be appropriate for the youngest kids. But if you have a kid who reads, and you’re not living in California, look for this book for your child. This big kid really enjoyed it. By the way, the tape on the cover is due to my negligence. I accidentally tore my friend’s book. I am now on the look-out for a replacement. Dag! Life is good, I’m fully aware. I am blessed to be able to work on art, projects, cooking, life. I get to hike in the mountains of southern California. And the weather can’t be beat. I also get to slow down once in a while, at my choosing. And those moments are lovely. Those moments are lovely. This moment, however, isn’t my choosing. And I Do. Not. Like. It. I’m not sure, but I think it began with one of those So-Cal hikes. I talked Mister into taking a side trail, off the beaten path. It was a new view for us, and we had no idea the uphill portion would be a bit more challenging than what we’re used to. But there it was, so there you go. And y’all, once you’ve started hiking, there’s no stopping. You’ve got to get yourself out of there. Ain’t nobody gonna do it for you. So we trucked up the side path and eventually re-joined the known trail. For me, it was hard. But I did it, and I didn’t think anything more about it. Until about 24 hours later. I was standing at the grocery store, choosing a can of garbanzo beans (I kid you not). I placed the can in my bag and stepped away from the shelf. That’s when it hit me. The foot pain was major, and ugly. I knew it wasn’t good. Not broken, but still not good. My doctor confirmed my suspicions: injured tendon. So now I’m slowing down, more than I prefer. It isn’t easy for me, as I tend to define myself by how much I accomplish on any given day. Doing mostly nothing leaves me with a low sense of self-worth. I know it’s whack-a-do, but it’s just the way I am. It’s a bad habit and I’m working on it, but it’s tough to shake. This little injury has left me struggling already, and as Mister puts it, I am a terrible patient. But sometimes life doesn’t give a doughnut hole what I think/feel/want. Life just is. And right now, life means being laid up for a while. Maybe I’ll read. Maybe I’ll write. Maybe I’ll do both, and everything else that doesn’t require the use of my right foot. I don’t know. But though I can’t see it now, I’m sure there’s an opportunity here – for something. Wish me luck. Like always, I surely need it.